Automated, sequential email messages is a great way to describe drip campaigns in plain English. Drip campaigns are a sequence of marketing email messages that are sent out automatically on a preset schedule. Picture this – one email will be sent out as soon as a new subscriber joins your list, another will go out 2 days later featuring your services, with one more going out 4 days later asking people what they’re struggling with. That would be a time-based sequence. Or the emails in the drip campaign can be triggered by actions that the subscriber has performed or some sort of behavior he/she has demonstrated on your website. For example, an action is when a link in your email is clicked; A behavioral trigger can be a visit to a particular web page or a purchase. Chapter 3: How is email marketing different from drip campaigns? Chapter 4: When should you use a drip campaign? Drip use cases. Chapter 5: Who runs drip email campaigns? Combining marketing automation with drip campaigns can result in 20% more sales opportunities. With drip campaigns, you have the ability to deliver relevant information, precisely when your users need to have it. The information delivered through drip email sequences is activated by how a user is engaging with your brand and web assets, and where they reside in the sales cycle. Drip marketing nurtures warm leads until they are sales ready. Drip campaigns can provide your business development team with an ongoing supply of prospects that are ready to close, making the most of marketing and sales effectiveness. Drip campaigns allow you to put tedious parts of the sales process on auto-pilot. Drip campaigns inform and nurture your business leads without you lifting a finger. This way you can spend less time pitching your services and more time closing clients. Want a closer look at drip marketing? Pardot has put together the infographic below to present the basics of what you can do with automated email campaigns. Click on the drip campaign infographic to zoom in. How is email marketing different from drip campaigns? You might be wondering how is email marketing different from drip email campaigns. Watch the video below which explains where the two terms intersect and how they follow different paths. When should you use a drip campaign? Drip marketing is an umbrella that covers a number of different marketing techniques. But the end goal remains the same: keep users immersed in your product. Let’s look at a few use cases where creating an automated drip campaign may help you deliver better information to targeted viewers, and convert them into paying customers. You might want to try some of these examples with your subscribers, or perhaps these use cases will spark your imagination for other approaches to marketing your products using drip campaigns. You can’t take every user by the hand through their buyer’s journey, but drip email campaigns can do that difficult task for you. You can use welcome, onboarding or abandoned cart autoresponder sequences to nurture your leads and prepare them to become paying customers. You could use a welcome email sequence to automatically send a new list subscriber some of your most popular blog posts. Or, if you get a new free trial signup for your SaaS product, you could try a drip showcasing an example of how other customers are making use of your product features. Pageviews and free trial users are good, but ultimately you need your users to purchase something from your business. That’s where an onboarding drip campaign would come in handy: combined with welcome campaigns and newsletter, onboarding emails provide targeted messages to the customer which are small wins for your business. 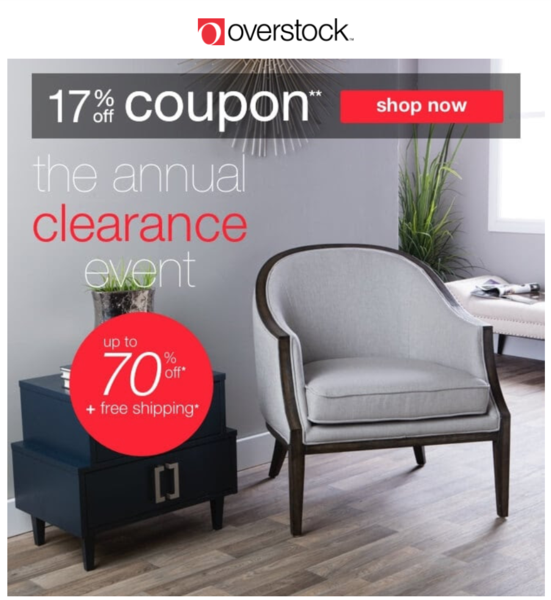 You designed compelling newsletters, offered flash sales, and tempted your user to click the “add to cart” button. But then, the user leaves empty-handed. Shopping cart abandonment can be a plague for an eshop. But with a drip campaign to recover abandoned carts, you can re-engage those customers and drive them back to complete the purchase. Whether your user renewed their membership or the subscription is about to end, you can leverage drip campaigns to captivate subscribers. For automatic renewals, you might want to use an autoresponder that sends users a notification that their account is about to be charged. However, you need to test the effectiveness of this because in some cases it might result in people canceling their account before their subscription is extended. If your subscriptions don’t auto-renew, create your drip campaign with a clear CTA, asking users to commit with your service for another term or year. The math is quite simple: the more often someone interacts with your website, the more likely they are to turn into a paying customer. Engagement email sequences are a kind of drip campaign that encourages the recipient to come back to your site and browse, triggered either by some on-page activity or a complete inactivity. Download this free set of copy and paste emails you can plug into your autoresponder to re-engage inactive subscribers. Social networks are a fantastic example of how you can use activity-based triggers for drip campaigns. If somebody on Twitter mentions you in their tweet, Twitter can send out an alert-style email, motivating you to visit Twitter, see the tweet and respond. Putting together a drip campaign to deliver a multi-part online course is a way to repackage old content or promote new content, and it helps you attract more targeted subscribers. 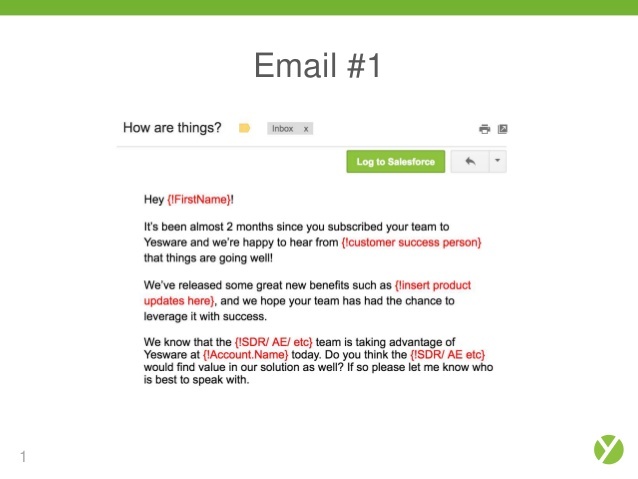 Plus, once the user receives the last email they know your product and are ready to move deeper into your funnel. Who runs drip email campaigns? Promote a new freebie (ebook, checklist or free course), automatically share your new blog posts, engage your audience in pre-launch campaigns. Grow your list by dripping free email courses to new signups, segment your subscribers into interest groups and send highly personalized emails to increase course sales. Build a referral program so that every student can refer their friends and earn a gift. Warm up your leads and nurture them until they leave their free trial and become paying customers. Create an onboarding sequence to showcase your product features to new users. Reduce churn by timely managing subscription renewals. Stay ahead of the competition and follow-up on your prospects effectively. Drip campaigns can do the work for you, as well as take care of most recurring tasks. Sky’s the limit, really. Drip campaigns can nurture your real estate leads. Any solopreneur or freelancer can deploy drip marketing to their benefit. Take insurance brokers for example. They need to constantly be in touch with different segments of their audience, i.e. cold leads, warm leads, customers, health plan customers or home insurance customers and so on. Set up drip campaigns to send out flash sales offers, happy birthday emails, customer satisfaction surveys, abandoned cart drip campaigns… you name it! Track and automatically reward your most loyal buyers, use upsell and cross-sell to increase your revenue, or send personalized product recommendations based on behavioral patterns or the location of your customers. Cart abandonment drip campaigns, product replenishment drips, VIP customer reward campaigns, and upselling/cross-selling sequences are the most typical examples in eCommerce. There are practically unlimited ways to use drip marketing to grow your business. With drip campaigns, you can achieve any of the goals mentioned here plus creating any customized campaign, like promoting an affiliate program to grow your business even further. If you are an affiliate marketer, you’ll be interested to read this post about high-conversion affiliate marketing email sequences. Ramp up your promos with our done-for-you autoresponder swipes, tailored to your business. Watch this video to see how Scriptly's intelligent Autoresponder Engine works. If you have no idea what you intend to achieve, how can you even accomplish it? You have to choose whether you need to warm up your leads, get them to purchase, or take some other action that serves your marketing goals. When describing your goal you need to be specific if you want to be able to measure it. Simply having a drip campaign in place won’t bring you much. The information in these emails must be great. If you send poor content, the outcome will be lousy. If your drip campaign doesn’t add any value to the email recipients, it can do harm to your marketing because people will unsubscribe or even report you for spam. Keep the emails short (up to 250 words) or your list won’t bother to read them. Know that the majority of your customers are not exactly reading your newsletter rather they are scanning through the content, so make your emails scanable. When you start developing content for the drip campaign, think about this: What is it that my leads need to make a decision or take action? For example, if your objective is to activate more users of your SaaS, you might want to create an email drip campaign that describes the best functionality of your software and shows success stories of how other people used it and got results. On the other hand, you should aim to enhance people’s confidence in your brand by building credibility – that is if your objective is to sell them on your products and services. You should be able to do this by educating them, addressing their concerns (i.e., removing friction) and presenting proof of how your product helps them materialize their aspirations. When it comes to the optimal email sending times, check your email marketing platform stats to see if any particular times of day generated more opens. With regards to frequency, there is no one-size-fits-all guideline here. Typically, you should send emails more often when someone is new to your list and slow down as time as they go further down your funnel. You could start with sending emails once a day, then every couple of days, then once a week, and finally once every two weeks or so. Of course, there are exceptions. Someone might be on your list for a long time but suddenly they express their purchase intent by visiting your e-shop and by abandoning a product in their cart. In this case, it makes sense to email them daily to recover the cart while the user is still warm. Or you might be segmenting old subscribers by having them to sign up for a new ebook or whitepaper. Then, you could also email them frequently to educate them more on the particular subject and entice them to opt in for one of your relevant offers. So, a way to optimize your drip campaigns, especially if your list has more than 600-700 subscribers, is to create segments. With segmenting, you are able to send different parallel campaigns but tailor them to the specific groups of subscribers. For example, you can design two separate landing pages for two different list segments. Now, when people subscribe to your list on one of those two pages, you’ll be able to know what interests them more and add them to the better-suited email drip campaign. This goes for all your marketing efforts. You need to measure the results if you want to find and fix bottlenecks and optimize your marketing spend. With email marketing come basic KPIs like open rate and click-through rate. Besides those, we suggest that you measure revenue generated by your campaigns. In fact, the impact on your bottom line is all that matters. Set up UTM links within your drip campaign emails so you are able to track the complete funnel and identify the source of a sale. Now let’s move on to some drip campaign examples so you get inspiration and ideas for your next drip campaign. 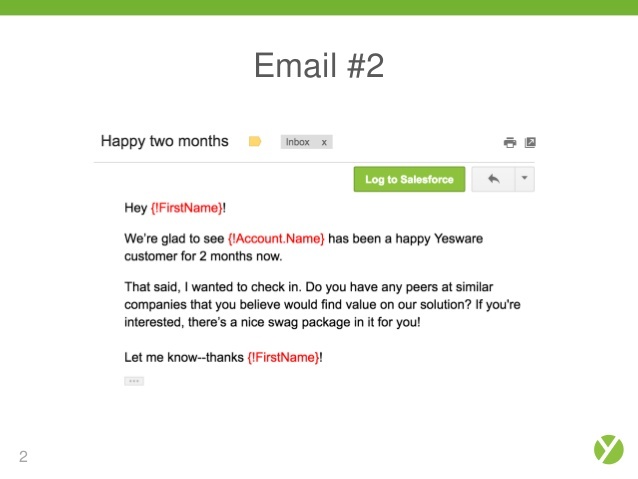 Email 1: Encourage customers to finish setting up their new account. Take them through the basic steps they need to take to start using your product. If the account is fully set up automatically, use the first onboarding email to simply welcome new customers and let them know you are available for a demo. Email 2: Show them around your training material and user guides. Give them links to resources, videos, your knowledge base, community forums or FAQs. Encourage them to contact support if they need extra help. Email 3: Point new customers to your blog, ebooks or relevant beginner resources. Educate them, show them best practices and anything else that will help them move forward and succeed. Show them that their success is your own success. The most basic drip that you need to have is the welcome email sequence. This is the first sequence that is activated after a new subscriber has joined your list. This is often the first impression people will get from your brand. So, the welcome email is super important. Welcome email drips also serve to increase your bottom line. According to Experian, they generate 3x more revenue than other types of emails. Have a look at this illustration of a welcome email from Yoga Pod. It offers a brief greeting, a vibrant video with real customers, links to explore the class schedule, and detail about the business location. SmartrMail also did a comprehensive review of the welcome drip series from Barnes & Noble. This drip campaign consists of an initial welcome message, then an email with a 15%-off coupon, then come recommended products, followed by an email summarizing the value of Barnes & Noble, and finally an email informing customers about their mobile app. After this email series come the regular newsletters. The value of this complete drip campaign example is that it gives users a thorough look at the Barnes & Noble brand and highlights the brick-and-mortar locations of the stores. There’s a very good chance that you’re going to want to return the favor when somebody does something nice for you or gives you something. This natural urge to even the scales is referred to as the reciprocity effect. Reciprocity can have a big impact on customer advocacy, loyalty, and retention. For instance, one of the top ways to keep current clients is to help them obtain more value from their investment in your product. You can deploy an automated drip campaign to share helpful content about market trends influencing their situation, inspiration, ideas and ways to use your product, and other practical resources that will keep them engaged with your product and brand. Take a look at this use case: After closing the sale, Contently’s business development team sends customers regular emails sharing popular blog posts that bring in practical value. About 83% of happy customers are more than willing to transform into your advocates. The Yesware sales team sends out automated email campaigns to follow up with active customers two months after they joined. When your team makes sure customers are satisfied and are seeing the value of the product and your support, it becomes easier to get upsell and referral opportunities. 45 days post-close: Sales team sends the buyer a reminder email message to confirm that they are satisfied and doing well. Then, they schedule a two-part email campaign to send to the client, with the first of the two emails going out that day. 60 days post-close: Email #2 is automatically delivered wishing the client a happy two months. Yesware is asking if they know of any other organizations that would potentially benefit from Yesware’s products. Anything like offers, sales, promotions, other in-store campaigns or seasonal campaigns can be added to a dripped series to automate the workflow. Such a drip campaign could consist of promo codes, discounts, limited-time offers, freebies, VIP access, or anything else you may use to drive a purchase. You’ve got a 24-hour coupon! Claim this offer before it expires! are examples of subject lines of a promo email. Moreover, customer milestones make for fantastic reasons to present a one-time offer to your clients. Plus, contacting them as they progress allows you to make your communication more personal. Examples are when you send them a birthday email or celebrate their anniversary of becoming a customer. 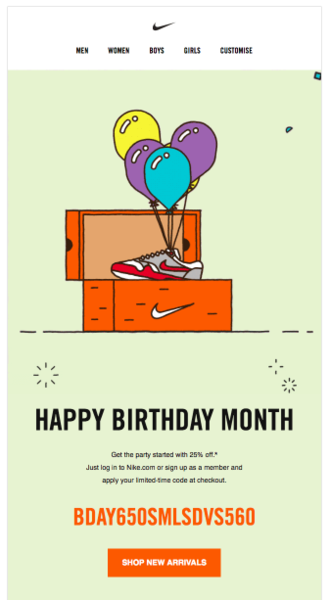 So, instead of sending a basic “happy birthday” email, Nike rewards customers with a unique coupon code for a 25% discount on a product. It makes sense that you need to provide value not just wish your customers happy birthday for the sake of it. Neil Patel has published a very interesting blog post on 7 lessons learned from top performing drip email campaigns. The majority of free trials (~50%) don’t turn into paying users. People need some guidance on what to do next, especially if they haven’t seen that ‘first win’ yet. Neil gives the example of how Time Etc., a virtual assistant service, sends an early task or feature highlight to new free trials in order to activate them. The goal is to prompt people with a specific next step. Neil uses examples from different brands to demonstrate how psychological triggers (like urgency and scarcity) along with personalization elements (e.g. location-based email campaigns) can generate more sales. The lesson learned is that more sophisticated drips can increase your bottom line. While as many as 67% of potential e-shop customers might abandon a loaded cart, 81% of people looking to book a hotel or trip might bounce as well. In that article, there’s the example of how Expedia sends behavioral, event-based emails shortly after the user abandons the search for hotels in specific locations. The moral of the story is that you can build a winning drip campaign, when aligning what a web visitor was just doing on your site with the email subject line. This aligns with what they were thinking about and will get their attention. 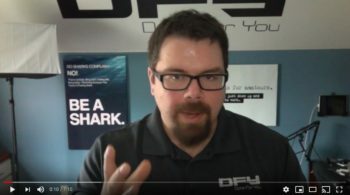 Neil also teaches as, when he brings up the example of one of Ramit Sethi’s campaigns, that you can fork a drip campaign to segment users according to their behavior (e.g. clicks) and use these segments to transition seamlessly from mentioning pain points to offering a solution. A churn rate of 5-7% might be typical and acceptable, but anything greater can quickly send you out of business. To cater to that proactively, you can utilize email drips that will be trigger at some points where you sense or predict churn. You can avoid churn by proactively responding to it. Another drip campaign lesson is learned when Neil mentions how Mint uses email notifications to help their users recognize and understand their difficult situation, and then explains how Mint can help. One example of how Mint does that is by tracking personalized, historical averages and then sending notifications or alerts when aberrations appear. Finally, a lesson learned from op performing drip email campaigns is that contacting a new user within a short time after they’ve signed up can help to activate them. The communication style and content, as well as personalization elements, are important to keep your user coming back to your site and keep them engaged with your brand. There’s a pattern among all drip campaigns that has a major impact on their success. Personalization. Keep in mind that the more you are able to personalize your drip campaigns (using name, location, job title, stage of the customer journey or anything like that) the better results you will get. A subscriber’s level of engagement and stage of their journey can give you a hint about the ideal frequency of your emails. As we discussed, it’s normal to contact the new lead every day soon after they’ve subscribed to your brand’s mailing list. But when the user is mature, maybe once a week or every two weeks is best. Some marketers would say that mailing more than once a day can increase engagement. According to our experience that’s not true. It’s actually a bad idea. It can come off as too salesy or aggressive even intrusive if you mail people more than once a day. They might think you are too desperate to get their attention – and that’s not good at all. As time goes by, you can look at your drip campaign stats and see what time of the day bring the highest open rates. That’s the best way to do it, instead of sending a lot of emails to make sure the subscriber opens at least once. Repurposing content for publishing on different media is a good content marketing strategy. But sending the same old content again and again to the same people will not pass unnoticed. Your audience will soon realize that they are part of a robotic drip campaign that has lost human touch. They will also think that your company has nothing new to say to them. Make sure your drip email content is delivered once to every customer or lead or else it will have the opposite effect. In most companies, there is a gap to bridge between marketing and sales. What you need to do is use account based marketing (ABM). ABM will help your business align sales and marketing efforts so that you derive the maximum benefit. If your marketing team launches a drip campaign but neglects to loop in your sales team then prospects will wind up receiving both a drip campaign and a direct call the same day. This wouldn’t be the end of the world but can be confusing to receive mixed messages. Establish regular sales and marketing meetings to discuss outbound strategies and campaigns. Covnertly helps you contact and convert more customers by building email marketing campaigns that actually work. From sending broadcast messages to deploying triggered autoresponder sequences, all is done for you in Convertly. With this tool you can achieve the ultimate goal of every business: get as many conversions as possible from the prospects that visit your website. 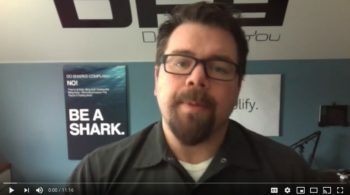 Watch the video below to find out how simple it is to use Convertly, and how it stacks up against competitive email marketing tools. Re-engage your list and convert more subscribers into customers. All these reasons make it a worthy investment for your business. After all, you need to do email marketing if you want to grow your business. There is nothing quite like reaching your customers’ inbox, when we talk about conversions! There are dozens of different tools available for managing your emails and crafting an effective drip campaign — Drip, MailChimp, and Active Campaign are some of the most popular ones. But each of those marketing automation tools has a different set of features, limitations, and price points, so you’ll want to review them thoroughly before committing. Scriptly provides professionally written scripts that you can start using as they are or customize to better suit your business. These scripts or email swipes will help you write high-converting sales copy right away, even if you’ve never written a line of sales copy before. Autoresponder engine – This is set of dozens of email sequences that are completely done for you. Anything from affiliate autoresponder sequences to webinar sequences is there. Page builder – Create any kind of customizable landing page. All templates are tested and proven to convert to paid traffic. Customer avatars – No need for a separate tool to define different customer avatars, to customize your marketing material to address different target groups. We have it all covered in Scriptly. VSL creator – Video sales letter can be easily created using Scriptly’s well-structured templates. For every part of the sales letter script you can choose the sales copy that resonates with your audience. Webinar creator – Create your next webinar is minutes, not hours, with this unique fill-in-the-blank formula. The webinar creator is a handy tool that will help you get past the writer’s block in an instant. If you want to succeed in your drip marketing, you must be able to track and analyze data. See, you may be successful at attracting tons of traffic to your website. But, what if only 2% of those visitors convert, while the rest remain anonymous? Don’t you want a way to identify who they are, track their behavior and keep them coming back? Of course you do. How are users acting when they visit your website? In today’s competitive times, obtaining meaningful data is an important part of a successful marketing plan. This is where Statly comes into the picture. As the complete tool that helps you in real-time tracking of users leveraging the sales funnel strategy, it can immensely help your chances of converting traffic into sales. Statly helps you obtain meaningful data so you can make the right business decisions. But how does Statly work? 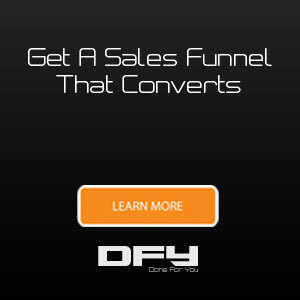 Statly gives you a comprehensive idea of how your sales funnels are actually converting. It helps you spot opportunities and the parts of your funnels that need to be improved. 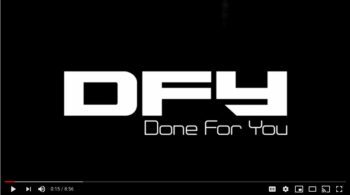 Watch this video to learn more about what our patent-pending tool can do for your business. If your site is powered by WordPress, then all you need to do is install the latest version of our plugin to get started with Statly’s advanced analytics and sales funnel tracking. Click here to sign up for a free Statly trial! With Statly in your arsenal, you will be able to better optimize your automated marketing campaigns and the buyer’s journey, so you entice more web visitors to convert into paying customers. Sitting in front of a load of data wouldn’t do any good, would it? But with Statly by your side, all these previously intimidating numbers will finally make sense. 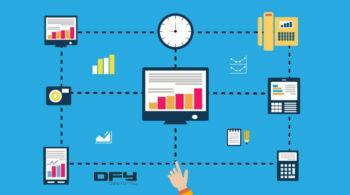 As with all business endeavors, establishing a set of metrics you will use to track the success of your drip campaigns is crucial to making the right decisions. So, what’s the best way to keep track of how users are engaging with your content? One of the best strategies to accurately track sources of traffic (and the funnel that follows) involves UTM codes (alternatively called URL parameters) — small text strings that come at the end of a URL. UTM codes don’t affect the destination they just add tags to the URL so you know where the visitor came from. UTMs are utilized to track web browsing via cookies in Google Analytics and other analytics suites. Using UTM tags, Google Analytics can show you exactly where a user has been before they visited your site, and whether or not they’ve been to your website before, amongst other information. When you use UTMs in your drip campaigns, you’ll be able to track visitors coming from each email message that is part of your drip. Google has built a custom URL builder that you can use to create custom UTMs. Whether you use the part that comes after the question mark or not the user will land on the same page. But if the URL is tagged you’ll know where that user came from. A lot of the time if you’re using an app to manage your drip campaigns, the app will automatically tag URLs. So, you need to set up the tagging pattern once and your app will do the rest for every newsletter you send. Now, here are some important drip campaign metrics or KPIs you need to measure on a regular basis. Depending on the sort of drip campaign software you are using, you should be able to find most of these drip campaign metrics on your dashboard. For the rest, simple calculations would give you what you need. Open rate shows the percentage of your email recipients who opened your message. This is an essential metric to evaluate because your email drips won’t do much unless your list subscribers are actually clicking to open your emails. Opening an email means reading it in most cases. Bounce rate is the percentage of your emails that weren’t delivered to your subscribers’ inbox. There might be a lot of reasons for bounces but the most common one is that the email address does not exist. Click-through rate is the percentage of clicks on a link inside your email over the total number of emails delivered. Typically, getting your list members to click on a link within your email message will be the main objective of your drip campaign, because clicking a link is equal to taking action. Unsubscribe rate is the percentage of people who unsubscribed following an email blast. If you send 1,000 emails and 10 people click on the “unsubscribe” link inside your email then the unsubscribe rate is 1%. It’s all about conversions, isn’t it? So, conversion rate is the percentage of the people on your list who completed an action (e.g. filling out a form or purchasing a product) after receiving your email. As explained before, you will need to have UTM links in place to track the whole funnel from click to purchase. Click the link to read more about how to keep track of the complete customer journey. Your campaign’s Return On Investment is the overall return on your money spent on the email drip campaign. This is a generic measure of how good you are doing growing your email list. List growth rate is the rate at which the number of people on your list has grown over a specified period of time. How to calculate list growth rate: New Subscribes-(Unsubscribes + Complaints) / Total Subscribers (over a period of time, e.g. the last month). So, that was it! The Complete Guide To Drip Campaigns And Email Automation. We hope we did a good job explaining what drip campaigns are and how marketing automation works towards optimizing your processes and increasing your revenue. 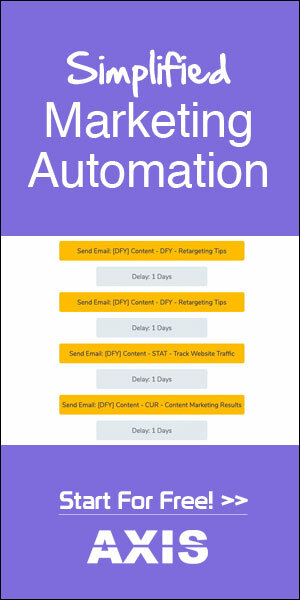 Email drips or email automation or marketing automation, whatever you call it, is here to stay; jump on the bandwagon to reap the benefits of automated lead generation, lead nurturing on auto-pilot and sales conversion 24/7 using email drips. Click here to go back to the top of the article.